It’s that time of year again can you believe it? Time to look back and in my case, be grateful for all that happened. It’s time for a year in review. I did this last year and really like looking back at these. So enjoy! 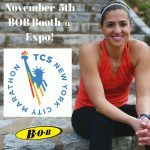 New York Marathon – The fact that I can even say I ran a marathon this year is amazing to me but aside from the 26.2 itself, this experience was unlike any other. From the time I agreed to do it at the beginning of September to the time I crossed the finish line, it’s an experience I’ll never have again. I used the words LIFE CHANGING in my recap and I wasn’t joking. This is a tough one. I think probably the 5K at Rock ‘n’ Roll Arizona WAY back in January and not so much because it was a good run for me but more so it was because it was the first run that my husband of 7 years and I ever did together. Rediscovering Asics Gel-Nimbus. I ran my first marathon in these way back in 2006 (I think) and love that they got me through my second! Hands down, one of the best pair of shoes ever. “Fueling for your long run needs to start the day before! Eat a high carbohydrate meal in the evening before your long run, a meal with potatoes, pasta, or rice. Eat dinner plenty early, 5pm is perfect timing, as the meal will be completely digested by morning. Once up, consume a large glass of water while your prepare your breakfast, which might include; 1 piece of toast with butter and jam, half of banana and some coffee or… my favorite pre-long run breakfast, oatmeal with salt, butter, brown sugar, walnuts and banana slices! Eat your meal about 90-120 minutes before you start running, yes, this means getting up very early! I think this year it has to be a tie between Sarah Hall and Deana Kastor. Sarah because she’s not just dipped her toe into motherhood she jumped right into the deep end by adopting 4 sisters from Ethiopia and has managed to stay on track with her Olympic training. Similar story with Deana. I got to meet her adorable daughter and watch them interact and the thing I loved the most is that she is a MOM first and runner second yet she manages to kick but at both. As someone who is constantly making the decision to parent first and foremost, seeing her be successful is inspiring and comforting. Aside from these amazing women, my year was full of faces that continue to inspire me…I have an ENTIRE post coming dedicated to those runners!! Beyond words. 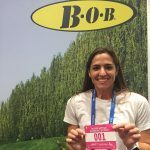 I ended up running in Arizona, California, New York, Missouri, Georgia, and Illinois. 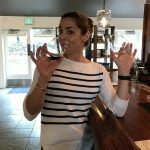 I completed 6 half Marathons this year, 8 5Ks, and 1 MARATHON! I’m very happy with how the year went. I’m even happier that I managed to steer pretty clear of the injury bug. What’s one of your goals for 2016? I think for me, it’s to do more runcations. 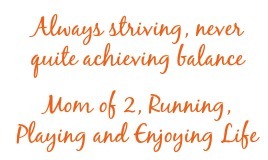 I LOVE LOVE LOVE the combination of traveling and running and when I can take my family, that is my happy place! I don’t know if a European adventure is in the cards next year but it’s definitely on my list. So is the possibility of more triathlon and more public speaking events. I haven’t really plotted anything out just yet but lots to think about. How was your year? What would your year in review have in it? What accomplishments or races are you most proud of? 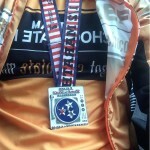 My year in running was awesome and I am most proud of my firs Half Ironman Finish! Congrats on such an awesome year including your NYC finish! 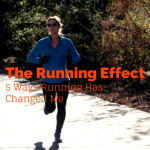 I agree with you that marathon running is life changing! When you say you’ll never have that experience again, does that mean you’re done with that distance? And yes, I LOVE my Asics Gel Nimbus. I’ve been running in them for over 10 years. They are the perfect shoe for me. Sounds like an awesome year Katie! I love traveling for running races too! Hope you have a chance to make that European running race this year. I love round up reports, and this one especially! 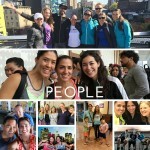 I’d love to run a marathon at some point, so thank you for linking to your recap! I’m off to browse through all of the race reports from the year- so much fun to read! I love this!! 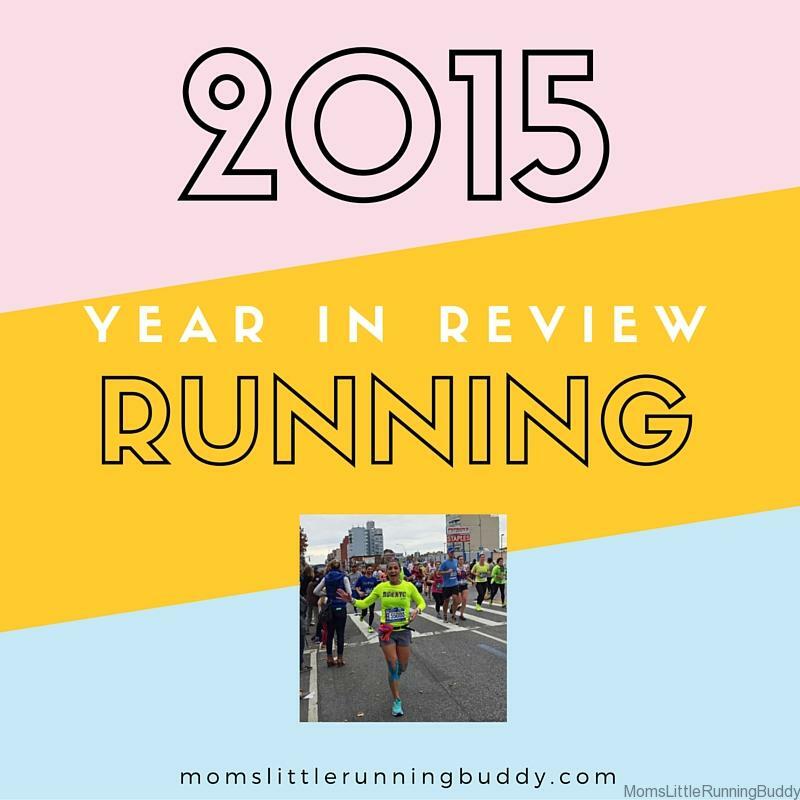 What a super fun year of running you’ve had!! Huge congratulations on running NYCM and I’m really glad I got to see you at the party 🙂 6 half marathons is AWESOME. PS: Traveling and running is one of my favorite things in the world. A European running trip is def on the bucket list!